After being in the Recording Business for many years, I was asked the question, “Why had I not recorded a Cd/Ep of my own”? My answer was, I hadn’t heard anything that I wanted to record! An unexpected telephone call from Jimmy Ray Paulman, that I had not seen in 55 years, settled the fact that I was not “Dead”, as he had heard! We got reunited and started working together producing our “own” songs.Jimmy “Luke”,a prolific writer and great musician. Then…….. The 1st project of my own! The last project of my own! just about any place you can imagine. 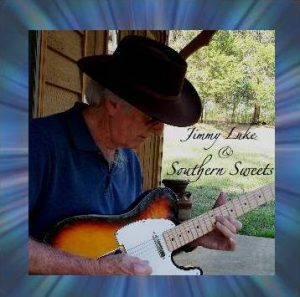 After a silence of decades, Jimmy “Luke” Paulman has emerged from those “quiet years”, with a solo project that brings to light, the talent that was often over shadowed by the headline artists, that he was associated with.